Beautiful, detached 4 bed, 3.5 bath home in the heart of Del Ray! This spacious colonial features over 3,000 square feet of living space with two master suites. Enter into the formal living room featuring a corner wood burning fireplace. Connecting to the living room is a large dining room with access to the large, eat-in kitchen. Enjoy an additional family room area off the kitchen. The upper level features a master bedroom with ensuite bath, two additional bedrooms and one bath. Walk up to another master suite with sitting area and full bathroom., complete with balcony. Use as a master suite, home office or guest suite. The light-filled lower level features a family room with a bar and table space - ideal for entertaining! Rounding out this level is a mudroom and utility/storage area. Beautiful landscaping and meticulously maintained, leave your car in the 2-car driveway and walk to "the Avenue!" Welcome home! Directions:From Braddock Road Metro: Braddock Road West, Right on Commonwealth Avenue, Right on E Bellefonte to 1 on Right. SchoolsClick map icons below to view information for schools near 1 Bellefonte Ave Alexandria, VA 22301. 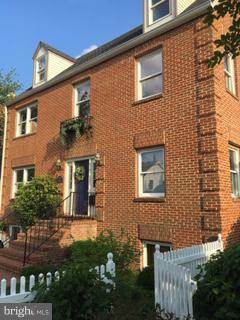 Home for sale at 1 Bellefonte Ave Alexandria, VA 22301. Description: The home at 1 Bellefonte Ave Alexandria, VA 22301 with the MLS Number VAAX193120 is currently listed at $999,900 and has been on the Alexandria market for 97 days. You are viewing the MLS property details of the home for sale at 1 Bellefonte Ave Alexandria, VA 22301, which is located in the Del Ray subdivision, includes 4 bedrooms and 4 bathrooms, and has approximately 3456 sq.ft. of living area.